with it powerful features, it help business grow even faster. QNE Optimum Prima is a comprehensive accounting software package. QNE Optimum Prima modules include Sales, Purchases and Inventory plus the BIR Features that can make BIR Reporting more efficient. QNE Prima is designed of Small Businesses like trading companies that demand accounting software to manage their daily transactions and inventory monitoring. 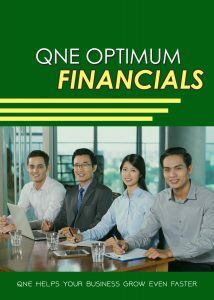 Financial and BIR Reporting is readily available in QNE Prima. 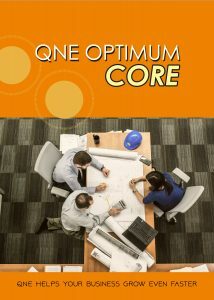 QNE Optimum Prima Package can assist you to handle full set account and onsite implementation is included in the package. 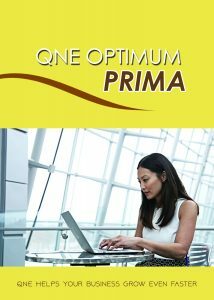 To jumpstart your manual to computerized accounting, QNE Prima is highly recommended. QNE Optimum Financials is a business accounting software that is specially designed for financial institutions, bookkeeping services, service-oriented companies, leasing and lending businesses and NGOs. QNE Financials is recommended for companies which require accounting system with billing management module, multiple projects and currencies. Onsite Implementation is also included in QNE Financials Package to guarantee that proper business process will be documented, and accounting system knowledge will be imparted to the users. 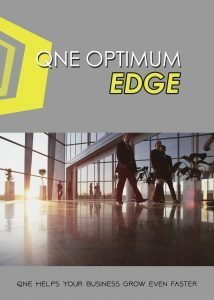 QNE Optimum Edge Accounting System is an ideal package for construction companies, pharmacy, importers. Businesses that requires simple manufacturing can also benefit in QNE Edge. Two of the significant features of QNE Edge Accounting Software are Serial No. and Stock Assembly which is very useful to the businesses that need inventory management. QNE Edge Package can assist companies on generating not just financial statements, sales reports and purchase reports but also inventory reports that can help the company control the stocks. 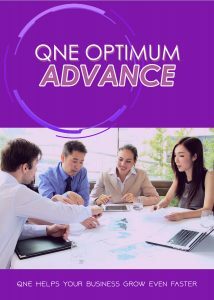 QNE Optimum Ace is the most comprehensive Accounting Software Package. QNE Ace is suitable for Manufacturing Companies that require Serial Number, Batch Number for production, Landing Cost, Stocktake and Billing Approval. 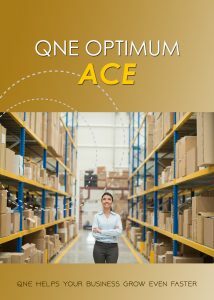 Aside from Manufacturing modules, General Ledger, Accounts Receivable, Accounts Payable, Sales, Purchases and Inventory are also available in the QNE Optimum Ace Package. QNE Optimum Ace Package is a complete Accounting Software and onsite implementation is also included. 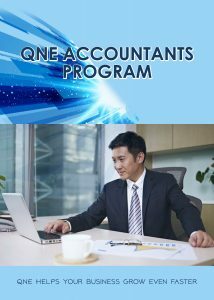 QNE Accountants Program is a special QNE offer not just for Accountants but to those Businesses who wants to manage their simple accounting and BIR requirements easily. QNE Accountants Program comes with QNE Optimum Accounting Software and a 1 Day Training Seminar on how to use the Accounting Software’s full potential. Plus, QNE Optimum Accounting Software is a BIR Ready Software that can generate BIR Dat File, BIR Forms and Reports like 2307, 2550M, 2550Q and more. QNE Accountants Program is one of a kind package that also helps Accountants handle multiple clients in one software for more productive and stress-free accounting transactions. 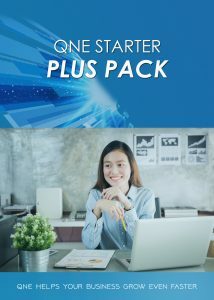 QNE Starter Pack is an SQL accounting software in the Philippines. It is designed for specifically to give users an easier way to manage accounting transactions. 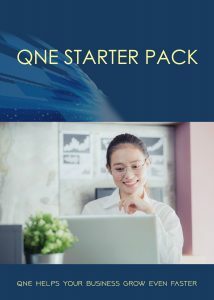 QNE Starter Pack is suitable for Micro Business and companies who demand accounting software to manage their simple accounting. Accounting and Sales Modules are readily available in QNE Starter Pack. Moreover, QNE Starter makes report generation faster through automatic viewing of financial reports. 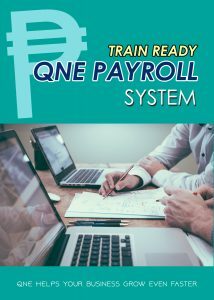 QNE Payroll Software is one of the best payroll software in the Philippines because of its highly adaptable features that is truly tailored-fit to Philippine setting. QNE Payroll Software, is a Windows-based, 64-bits with multi-document interface (MDI) payroll software system. It is real-time and developed sincerely for PHILIPPINE payroll environment. The Philippine Government requirements for payroll are already included in the user-friendly QNE Payroll Software. Plus, QNE Payroll Software is now TRAIN Ready and we continue to enhance based on the Philippine market demand!